Candace H. Johnson-For Shaw Media Michelle Maile, 20, of Gurnee, assistant manager, puts a painted ceramic penguin into the kiln at Ceramics for You, a paint-your-own pottery studio, in Gurnee. 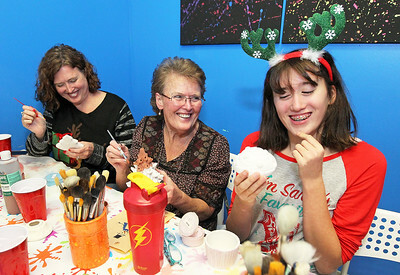 Candace H. Johnson-For Shaw Media Morgan McCulloch, 20, of Gurnee and Sydney Janda, 17, of Lindenhurst check and fill up paint cups for customers to use on their ceramic pieces at Ceramics for You, a paint-your-own pottery studio, in Gurnee. 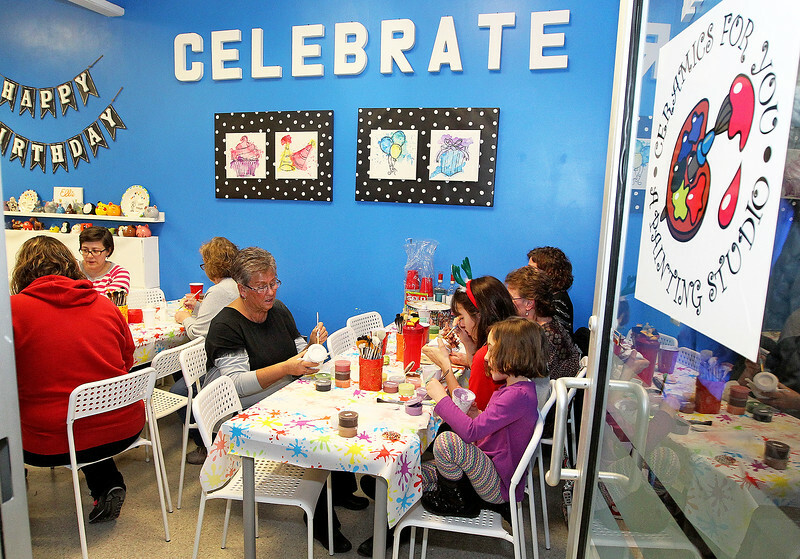 Candace H. Johnson-For Shaw Media Danielle Ebbole, 10, of Gurnee paints a snowman at Ceramics for You, a paint-your-own pottery studio, in Gurnee. 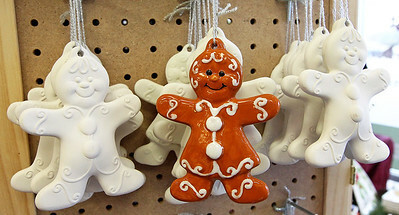 Candace H. Johnson-For Shaw Media Ten extended members of the Harris family have a paint party at Ceramics for You, a paint-your-own pottery studio, in Gurnee. 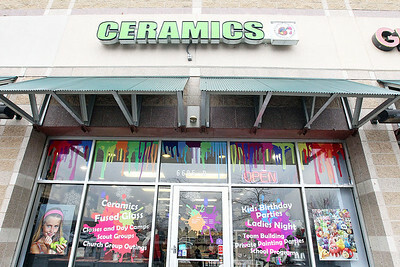 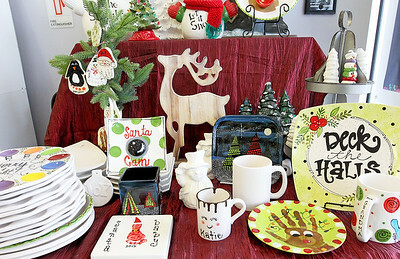 Candace H. Johnson-For Shaw Media Ceramics For You, a paint-your-own pottery studio, in Gurnee. 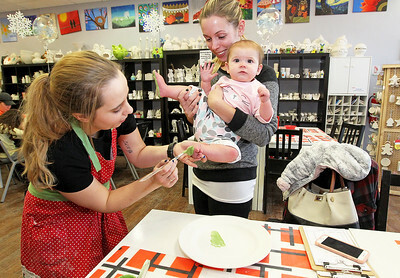 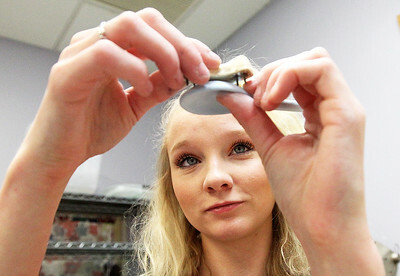 Candace H. Johnson-For Shaw Media Michelle Maile, 20, of Gurnee, assistant manager, puts a stilt on a ceramic spoon before setting it in the kiln to be fired at Ceramics for You, a paint-your-own pottery studio, in Gurnee. 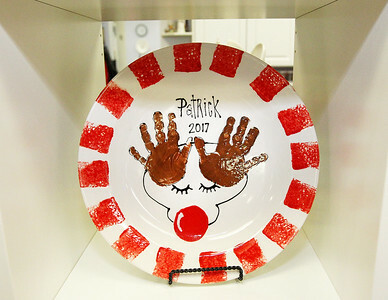 Ten extended members of the Harris family have a paint party at Ceramics for You, a paint-your-own pottery studio, in Gurnee.